Home » IYIM NEWS AND EVENTS » Kfar Tavor hosts Dr. Levmore as Prenups Scholar-in-Residence! The IYIM Agunah and Get-Refusal Prevention Project participated in the Israel-wide “Shabbat Dorshot Tov”. Director of the project, Dr. Rachel Levmore, together with 80 female scholars, spent Shabbat as a scholar-in-residence in locales all around the country. Dr. Levmore taught in the Beit HaKnesset HaAshkenazi of Kfar Tavor in the Galilee. The subject of her lecture was “Halakha and Civil Law: Divorce and the Agunah Problem in Israel”. 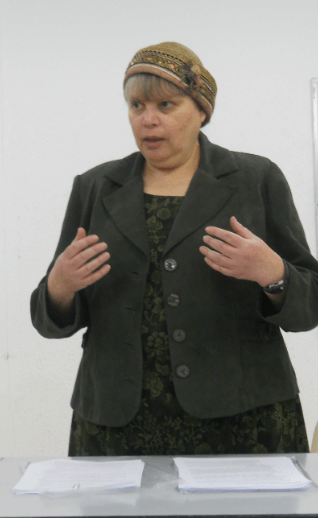 This was especially significant since Dr. Levmore herself chose to lecture in the North, in Kfar Tavor – a community that had never had a Shabbat guest lecturer. In fact, the majority of those who had attended had never heard of a prenuptial agreement for the prevention of Get-refusal and this was their first exposure to the topic. The participation was lively and the message was internalized.